Recycling isn’t simply for those whose piggy banks are looking rather malnourished; there is now a growing trend in sourcing reclaimed materials to make new and stylish items. 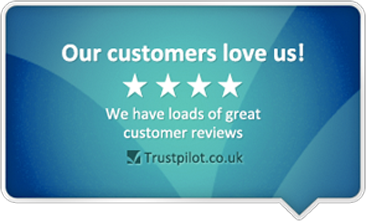 Before taking your old furniture to your local community recycling centres (or to the average Joe Bloggs, the tip! 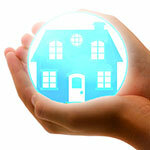 ); it may be worth considering whether it can be re-used or re-purposed, saving you valuable money. This option is also far more environmentally friendly and, if you’re handy at crafts; far more rewarding and fun! 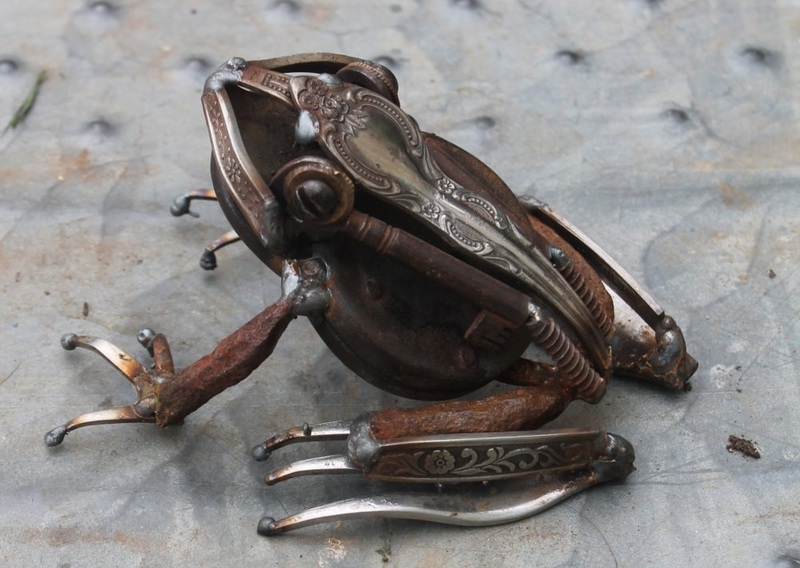 Jumping in at the deep end, this recycled scrap-metal frog demonstrates the exquisite talent one person had at transforming discarded forks, nuts, bolts, springs and other such materials into a quirky and fashionable piece of art. If however, your iron soldering skills do not parallel this artists; we have plenty of simple ideas for you to try at home. 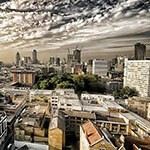 For most, the difference between recycling and upcycling can also prove to be a confusing one. 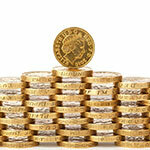 However, there are a couple of key, fundemental differences between the two processes. 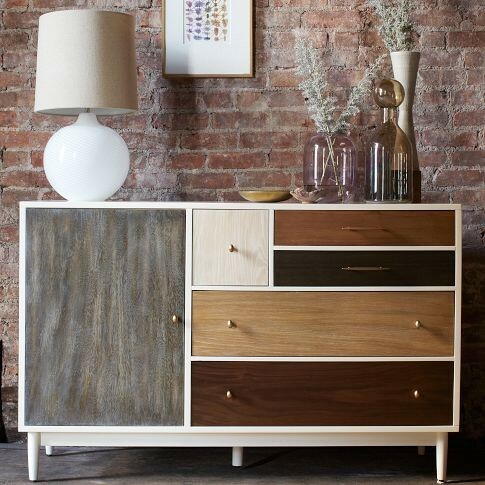 Upcycled products are usually of low value and are not desirable. They then undergo a process in which they are repurposed and transformed into an item that is of a higher value and becomes far more desirable. Recycling on the other hand usually undergoes a process when a higher value item, such as a cabinet is broken down into its raw materials, such as wood, which lessens its value. The item can then be transformed into a newer, more desirable item, such as the frog featured above however, the process is often lengthier owing to the product being broken down into its raw materials first. 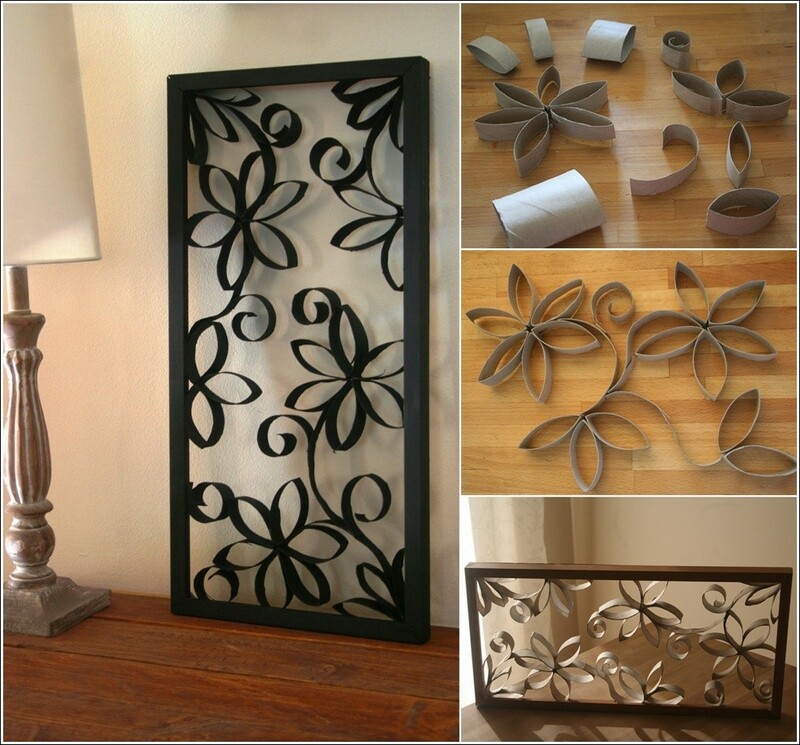 This pretty piece of home décor has been made from recycled toilet roll tubes. Simply cutting thin slices across the tube has allowed for the creation of delicate petals and leaf designs. Having stuck the petals together using a hot glue-gun, the artist sprayed their design with black paint. A surprisingly simple idea, but cost-effective and the result? A stunning and effective piece of DIY art. It’s not uncommon to have mismatching cutlery in your kitchen drawers. 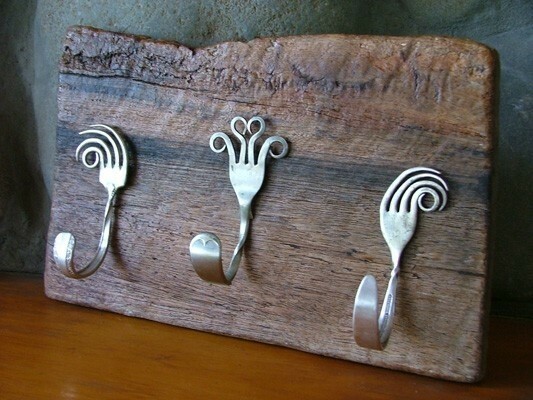 Rather than keeping the odd one or two forks or spoons from a particular set; why not try your hand at creating a stylish coat or key hanger? Through the careful bending and styling of the forks, they can then be mounted onto some rustic wood, and hey presto! Your new creation looks like a new and expensive, modern acquisition! 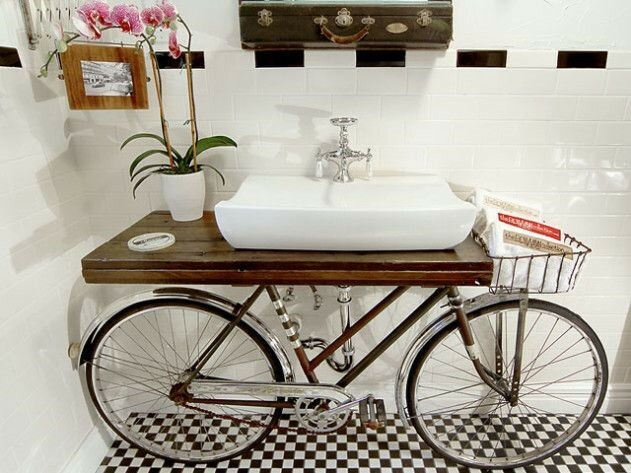 If you love Parisian décor, vintage items and would like a quirkier twist to your bathroom design; bikes can be repurposed and used as part of your bathroom sink. Choosing bike that had a basket allows for a useful section in which hand towels or reading material can be stored. You can make a new, stylish looking bookcase from a re-purposed ladder! 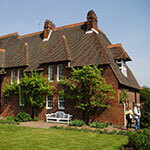 By stripping the wood back, sanding it down and repainting it; you can save a large sum of money. Ironically, the ladder offers a more modern design that most bookcases you would find at IKEA! Children’s toys can be expensive and easily damaged. 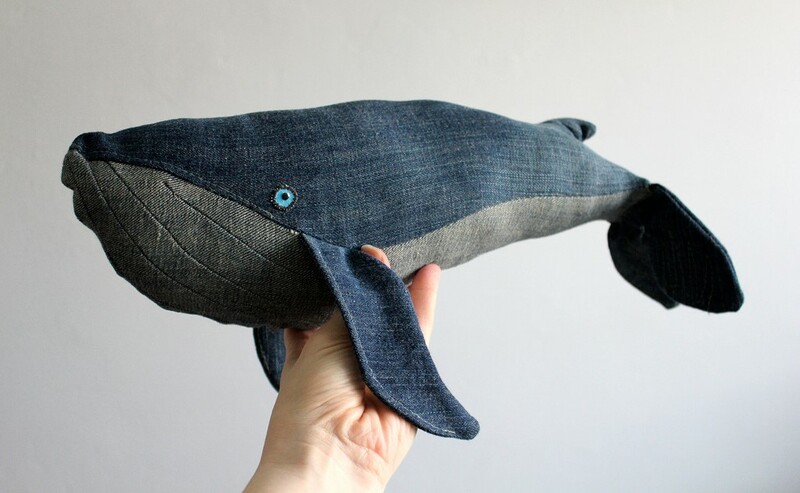 This friendly, fun looking whale is actually made from an old pair of jeans! We think the whale is actually rather stylish and that most adults wouldn’t mind having the newly created toy as a feature in their homes! Who says you need a child to enjoy this plush creature? This re-purposed guitar offers a stylish addition to any home. And, they are a blank canvas. Get arty and paint them different colours. 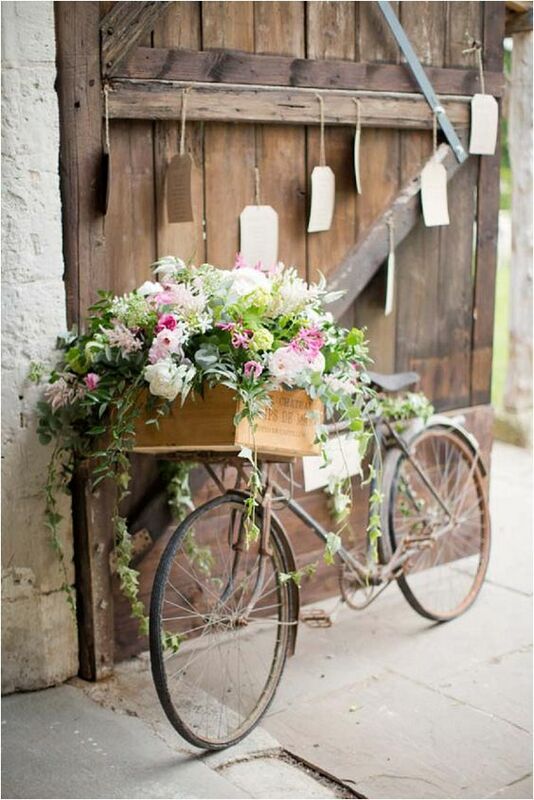 You can paint scenes, add polka dots, flames, or you can simply keep its rustic charm! The possibilities are endless. Be careful not to store anything too heavy or large in the guitar as items could easily fall or damage the guitar. Our guide is only a small insight into the realms of possibility in terms of recycling and upcycling materials. The beauty of this hobby is that the items created usually reflect the personalities of those creating them. As an art, this process can be perfected over time. 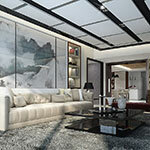 With the potential savings to be made, as well as the benefit to the environment, there’s a whole host of reasons as to why you would want to try your hand at this increasingly popular trend!